In 1951, designer Greta Magnusson Grossman observed that California design was "not a superimposed style, but an answer to present conditions. It has developed out of our own preferences for living in a modern way." California design influenced the material culture of the entire country, in everything from architecture to fashion. 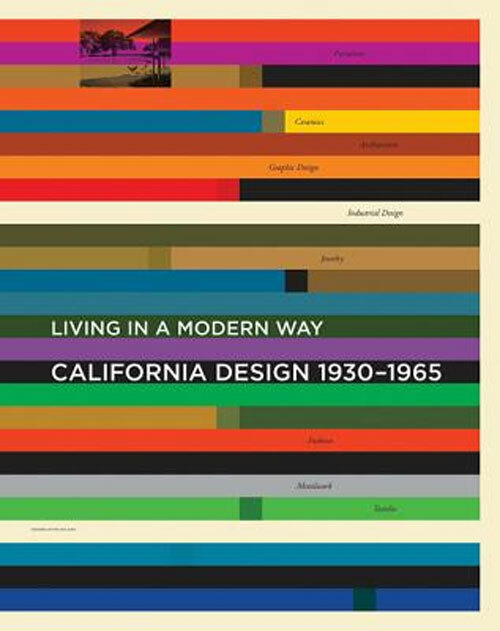 This generously illustrated book California Design 1930-1965. Living in a Modern Way, which accompanies a major exhibition at the Los Angeles County Museum of Art, is the first comprehensive examination of California’s mid-century modern design. It begins by tracing the origins of a distinctively California modernism in the 1930s by such European émigrés as Richard Neutra, Rudolph Schindler, and Kem Weber; it finds other specific design influences and innovations in solid-color commercial ceramics, inspirations from Mexico and Asia, new schools for design training, new concepts about leisure, and the conversion of wartime technologies to peacetime use (exemplified by Charles and Ray Eames’s plywood and fiberglass furniture). The book California Design 1930-1965. Living in a Modern Way includes 350 images, most in color, of furniture, ceramics, metalwork, architecture, graphic and industrial design, film, textiles, and fashion, and ten incisive essays that trace the rise of the California design aesthetic. The heart of California Design is the modern California home, famously characterized by open plans conducive to outdoor living. 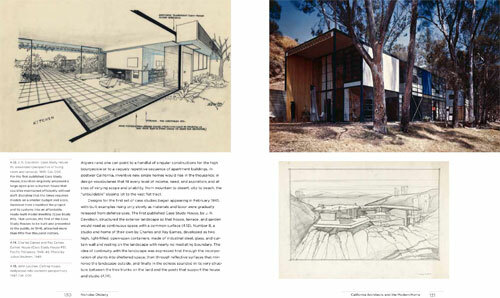 The layouts of modernist homes by Pierre Koenig, Craig Ellwood, and Raphael Soriano, for example, were intended to blur the distinction between indoors and out. Homes were furnished with products from Heath Ceramics, Van Keppel-Green, and Architectural Pottery as well as other, previously unheralded companies and designers. Many objects were designed to be multifunctional: pool and patio furniture that was equally suitable indoors, lighting that was both task and ambient, bookshelves that served as room dividers, and bathing suits that would turn into ensembles appropriate for indoor entertainment.